Join Yitzchak Reuven and Rabbi Chaim Richman for this special edition of Temple Talk, the last program of 5778. This week's program is a tour de force in preparation for Rosh Hashanah, the birthday of Adam. Our hosts discuss the universal aspect of this time of renewal and judgement for all humanity. 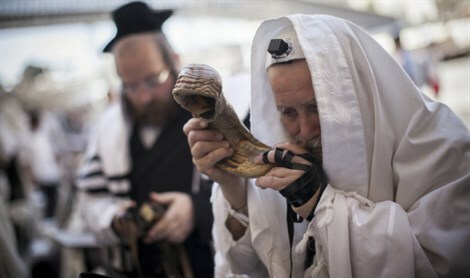 The show is full of vital and compelling information and inspiration, ranging from the reasons for the blowing of the shofar, to Rosh Hashanah's mysterious musical connection to the Holy Temple. Plus: The Messianic implications of the birth of a red heifer here in Israel. Best wishes for a Sweet and Beautiful New Year, from Temple Talk!